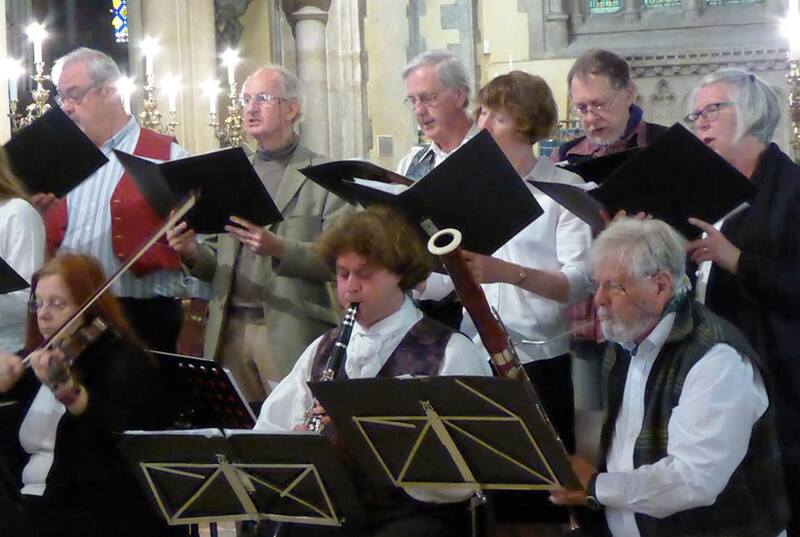 We are a group of singers and instrumentalists who meet regularly to rediscover and recreate the vigorous music of 18th and 19th century English village choirs. We are one of some 40 quires (i.e. singers and instruments combined) which are active countrywide: most are affiliated to the West Gallery Music Association, and include enthusiasts of every religious persuasion and of none. ‘Bristol Harmony’ was formed in 2007 with the intention of being a small, high-quality, democratic group, focused on the music of Bristol and the West of England. We sing and play from our own music book, compiled by our members; although we do use musical notation to sing from, we try all we can to enable those who sing by ear to join in, by treating practice meetings as far as possible as workshops so all can learn from scratch. We meet twice a month on Tuesday evenings, generally 1st and 3rd Tuesdays, in the University of Bristol staff club, ‘The Brambles’ at The Hawthorns: for upcoming events see our Events Page. We also organise occasional workshops, presentations, concerts and singing excursions: for past excursions see Past Events. Esther Steward and Anne Koerber are Musical Directors.